She was able to interview the amazing Donalyn Miller, and now we get to answer the same questions! What is your favorite book (or series) from childhood? My favorite book, since third grade, has been The Giver. I think I have reread it at least ten times, if not more. Other than The Giver, I also loved the Babysitters' Club and the Little Sister series too. And Wrinkle in Time! (Speaking of Wrinkle in Time, you all should read When You Reach Me!) I read a LOT as a child, and I pretty much loved everything. What is your favorite book (or series) now? I still read a lot of children's book so that I can stay in touch with my students. 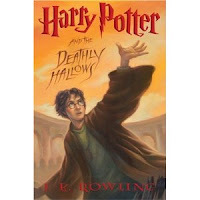 My favorite series now are definitely the Harry Potter series and the Percy Jackson series. I could read and reread these books! As far as adult books, I really like to read nonfiction books so I can learn. 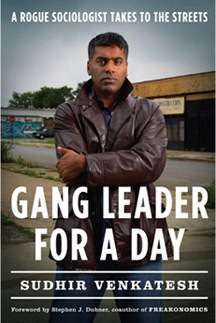 One of my favorite nonfiction adult books is Gang Leader for a Day, which is about the gangs in the former projects of Chicago. I also liked The Kite Runner, which was fantastically written and very heartbreaking. What is your opinion of e-readers? Ahhh..... this is a tough question. Generally, I do not like them, and I do not want one. Do they have their cool features? Sure. As a matter of fact, my library rents them out, and I would be willing to borrow one for a vacation or something. But I love holding books too much. I love putting my bookmark in and seeing how far I've gotten. I am just too in love with books. Sorry, e-readers. Finish this sentence: "On Sundays, I like to..." relax! I read teaching blogs, I read books, I love to take walks (a lot)... they are nice, calm days before the new week begins!! Describe yourself in 5 words! Idealistic, positive, reader, teacher (yeah! ), and easygoing. Hardcover or paperback? Why? I'm not particular. I get whatever format the book comes in when it's at the library. I do like paperbacks, if I'm buying a book, because they are cheaper. :) But I do agree with Donalyn that books like Harry Potter need to be read in hardcover because of their excessive size! Coffee or tea? I looooooooove tea! I like mainly fruity teas. 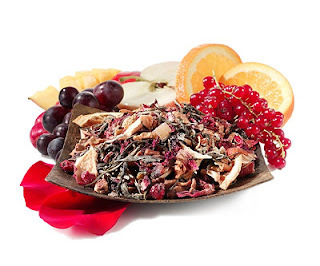 I just discovered a new obsession - the Youthberry tea from Teavana! When I'm at the mall I drink a ton of sample cups of Youthberry tea.... haha! Maybe once I start teaching I can save up some money and buy it to make at home! Look at the Thinking of Teaching blog to read other people's answers or to find out more about the book club! Thanks for posting and joining in the linky party! Of course you will have something to contribute to the read along! I am a Teavana LOVER! I got the 6 month tea of the month club and it was great, I want the other 6 months now! Youthberry wild orange is so tasty, I always sample at my mall as well! My new obsession is Blueberry Bliss mixed with Pineapple Kona pop- iced... You should try! !